1. Boil beetroot for 15-20 minutes, drain and rinse with cold water. 2. Once the beetroots are cool enough to handle, peel them and cut each into 6-8 segments. 3. Segment and cut oranges into small pieces (retain all juices) and combine with vinegar, oil, and beetroots and leave for 10-15 minutes in a bowl. 5. 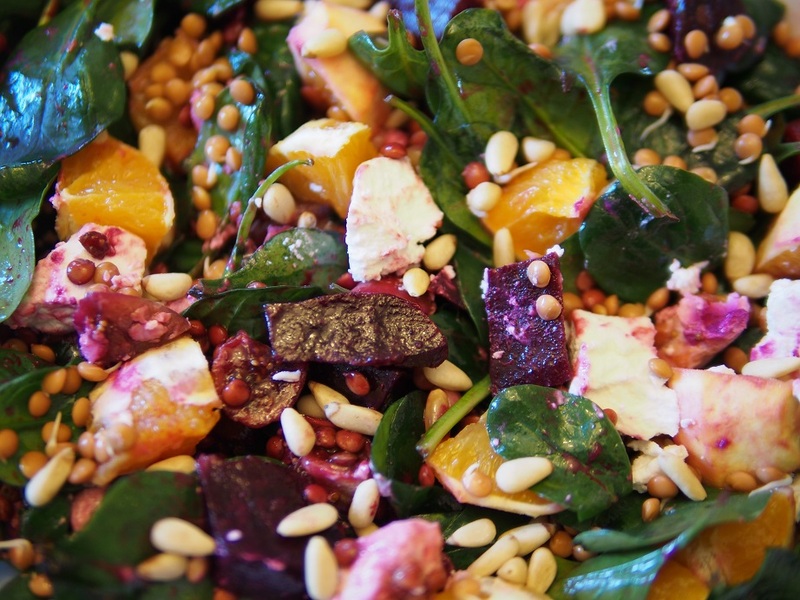 Evenly distribute the dressing with oranges and beets over the spinach and toss very lightly. 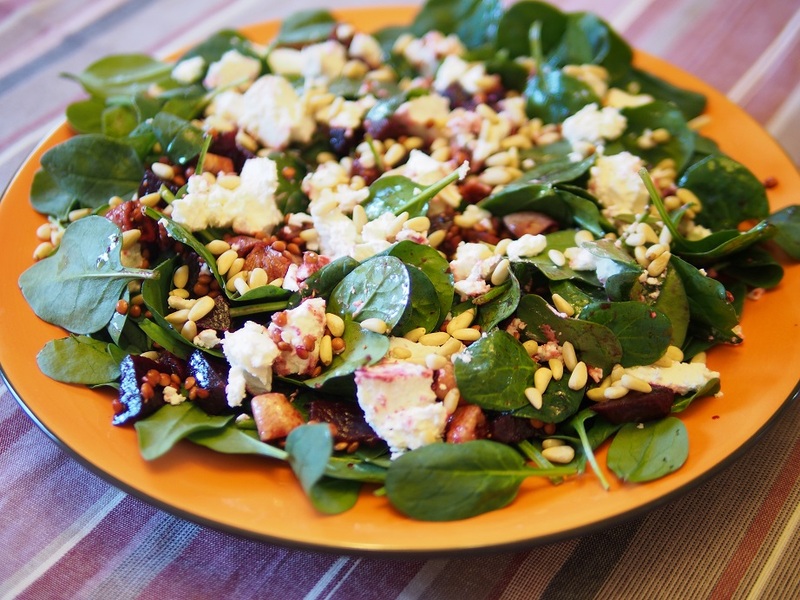 Sprinkle with pine nuts or pumpkin seeds before serving.